Since her very first disc, Claire Désert has summoned the Schumannian rages in solo or in chamber music. 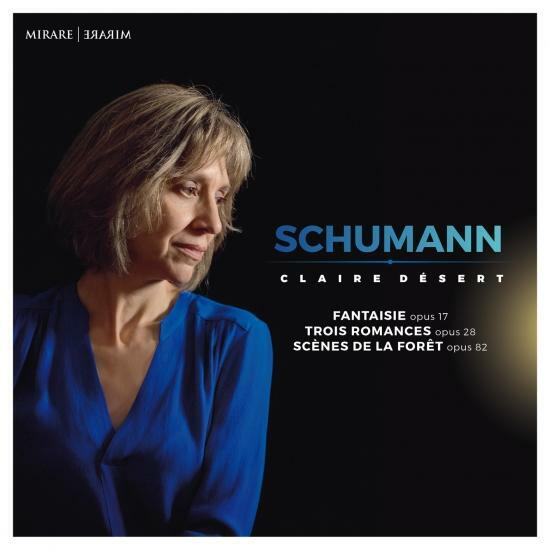 Here, with three major piano works, she portrays the soul of German Romanticism, from its dark forests to its popular romances. This is also the whole universe of Schumann, between virtuosity, madness and fervour.